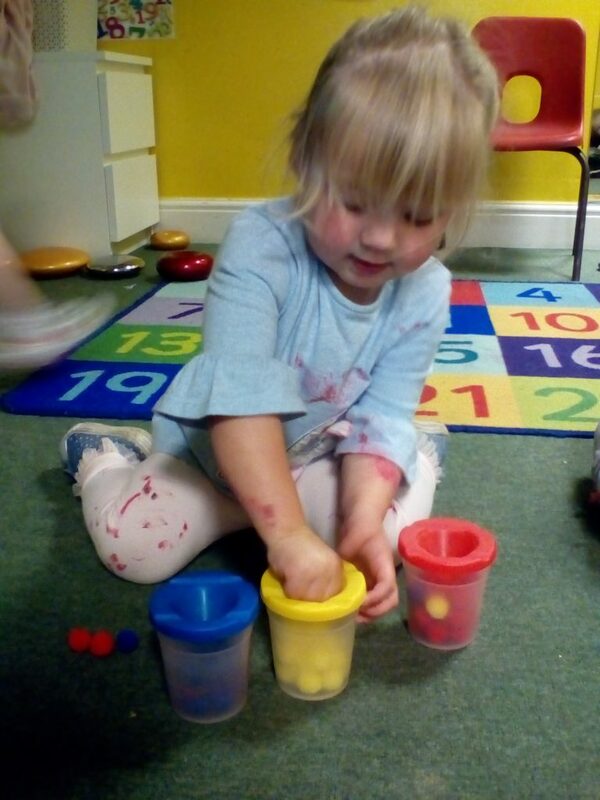 The Honey’s have been promoting their fine motor skills through using pom poms and small coloured bears. The children have been supported and encouraged to match the colour to the correct container. The children showed great confidence and followed the instructions and guidance given at the start of the activity. Well Done Honeys!